send an email to CNYAcu@gmail.com. Because good health is your right. Because you deserve to take time for yourself. Because group healing amplifies healing. Because a healthy community is a strong community. 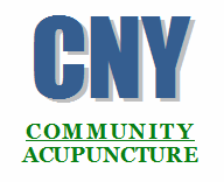 What is community acupuncture, anyway?